You want to try to make your eyes look very pretty and charming? Your photos don't look so good, because of damaged by the red eye? Then this app will help to you, this app can add magical pupil effect to your photos. You can even change the color of pupil and add magical pupil effect like rainbow eye, recurrent eye and many more. Meanwhile, this app provides 195 beautiful pupil templates, so without any settings you can make your photo's eyes very beautiful. The app uses a unique blending technique to create an magical effect that looks very natural on the eyes and supports multiple eyes in the same picture. By using face recognition technology(please note that only the front face photographs to identify) , it can automatically locate the position of the eye, so even more easy to use. - Very detail tutorial and help files. 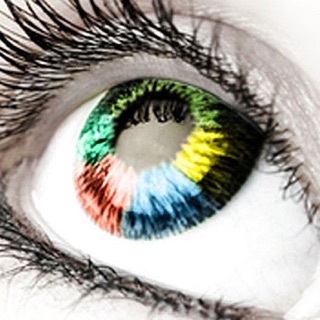 - Fx-effects library, you can customize unlimited color contact lens to the library! - More than 170 kinds of Color contact lens! - More than 300 beautiful pupil templates! - Share to all your favorite social networks at once after editing your photos. (Face Book, Twitter, MMS, Email, Tumblr). This app is very frustrating for many reasons. The main reason why I find this app so frustrating is because they took away the hair styles it used to have. I used to use the hair style a lot, so because of this I am very disappointed with the app. Another complaint that I have with this app is that two days ago I found that they removed a lot of “eyeballs” that the app used to have, so that’s another reason I have against this app. My last complaint about this app is that they removed a lot of features this app used to have and there were more annoying advertisements that I cannot choose to skip, and sometimes they are very long. Also, about every five seconds there was an ad that said to buy more of their “eyeballs,” which is really annoying, because I know what it’s really about. This app first takes away features and add more annoying advertisements. Then they want you to buy the features back and pay for no ads. This may be a free app, but once you buy it it’s anything but free. Please find this review helpful. I would recommend against getting this app. There you have it. Short and sweet. The app, while a good idea, was not very enjoyable. For me at least, the app would kick me out every five minutes and wouldn't let me use everything. I could only use the hairstyle part. Which isn't to say that it wasn't fun, but if you name your app something with the words "eye color" in the title, I think that you should make sure that the eye color part of it actually works. You know? Also, what's with the buying hairstyles? I mean are you buying a wig for that hairstyle or are you buying a picture of the hairstyle or what? Overall, this app was boring and not fun or exciting for me at all. I prefer for my apps not to kick me out every third time I push a button. But hey, I'm not you. Maybe you like that sort of thing. I just don't.